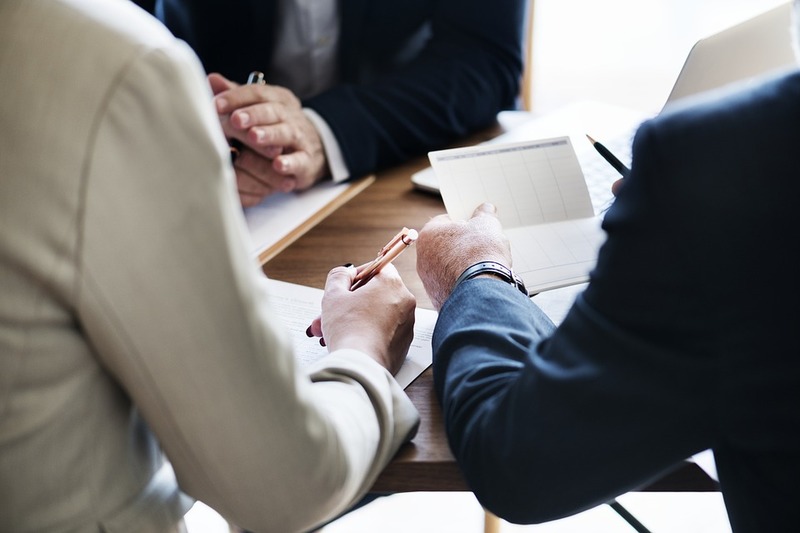 When you buy or sell real estate, you’ll likely hear, “You should get an attorney.” There are real estate transactions and negotiations that will require an attorney. You might want to buy a foreclosed property but not know the risks. You may be considering a short sale to avoid a foreclosure. Or, other real estate transactions may require a professional opinion. Because real estate deals are very complex, hiring an attorney saves time and money. You can reduce your risks and protect your financial interests. Here are a few occasions when you will need to hire a real estate attorney. A real estate attorney is a lawyer that specializes in real estate law. Their role is to draft documents like mortgages and purchase agreements. They also prepare title and transfer documents. Real estate lawyers review transaction terms, negotiate deals, and help with litigation. They can assist with leases, purchased property, or appraised property. A real estate attorney can draft real estate documents. They can prepare a deed, lease, or rental agreement. They can also set up financing agreements and purchase contracts. Real estate lawyers can give added peace of mind. They represent an unbiased third-party. And, they can help negotiate transactions that are amenable and fair. Real estate attorneys may work with brokers and investors. They may negotiate contract terms with developers or other attorneys. This can help real estate deals resolve smoothly, and lead to faster closings. Real estate attorneys can help with due diligence. They may examine contracts, titles, and other documents. A client might think something is “off” or “fishy” in how a deal is transacted. Or, they may express doubts. Experienced legal counsel can spot problems in advance that clients may not recognize. This can help avoid legal traps later on. When deals fall through, a real estate attorney can help with litigation. They may draft a legal pleading or file an appeal on your behalf. They can bargain with the opposing counsel. And, they can work on settlement terms. There are several occasions when you might want to hire a real estate attorney. You might have moved from a different state. You’re purchasing a short sale or bank-owned property. You’re purchasing estate sale property or commercial property. You’re purchasing property with structural issues. You’re purchasing property with uncertainties, i.e, it’s in a flood zone. You’re selling property in distress. You’re an executor or heir for a property where the owner is deceased. You’re having a conflict with another party over the sale of a property. You have a property with a lien or judgment on it. You have doubts about a deal going through. Now, let’s explore a few examples of how a real estate attorney can help. If you’re selling a property in a short sale, you’re selling the house for less than the mortgage amount. It’s recommended that you hire a real estate attorney to review your paperwork. Your lawyer is a key player in this type of transaction. They can help you avoid any unforeseen legal issues. For example, your real estate attorney can confirm the lender doesn’t have rights to recoup the loss once the sale is complete. Some lawyers have a specialty in trust deed and mortgage foreclosures. They may represent lenders or borrowers. Whether you’re in foreclosure or buying a foreclosed property, a lawyer is recommended. When a homeowner is facing foreclosure, an attorney is recommended. There are unforeseen mistakes that can occur. The attorney can look for mistakes in the foreclosure process. They can then try to work with lenders on behalf of the homeowners. If you’re the homeowner, don’t overlook hiring an attorney. You may not pay attention to important dates on notices. You might neglect the property or abandon it. And, you can be held liable for damages if fixtures are removed or destroyed. You might see a deal on a foreclosed property. But, you might not know the risks. Depending on the jurisdiction, the courts give homeowners time to pay monies owed. California has a Right of Redemption. This gives parties up to a year to repay the full money owed on the property while the lender holds onto the property during this time in a judicial foreclosure setting. But, if the lender pursues a non-judicial foreclosure, then the time frame is only 3-months before a notice of sale may be recorded, which authorizes sale of the property in 20 days. That means borrowers have 90-days after their notice of default and an additional 15 days to pay the money owed in order to prevent the foreclosure. This is according to California Civil Code – Section 2924. Another example is a foreclosed property that has a lien or judgment against it. The liens may transfer with the sale of the property. That means you’ll have to pay the lien off before you can buy the property. An attorney is recommended when buying a home. They can review contracts and contingencies. They can offer legal advice and spot red flags. An example is buying a property where a fence extends over a property line. A real estate attorney can convince sellers to remove it. Another example might be buying a home that doesn’t have a deck approved by the HOA. A real estate lawyer can work to get it approved. Your real estate lawyer can also stop you from signing optional documents at closing that aren’t required. An example is a title company that tries to include a release that absolves them of negligence. Your attorney can spot this red flag right away. There are a lot of risks associated with buying commercial real estate. These are huge investments and you should always consult with an attorney. With complicated details and financial risks, your attorney can protect your best interests. Problems can arise when purchasing commercial property. These can include tenant claims, leaseholds, and environmental issues. There may also be problems with corporate ownership. Your attorney can help with negotiations. Attorneys know the intricacies of real estate law. They can help you find the best resolutions if problems arise. Your attorney can also help reduce your risks. With commercial real estate, you’re not renting to a single tenant. You’re negotiating long-term leases with more than one party. A real estate lawyer works to protect your financial interests and reduces your risk with each transaction. Having a real estate attorney can protect your best interests and save you time and money. When you’re ready to hire the best real estate attorney, contact The Mellor Law Firm. Need a real estate lawyer in Riverside? Looking for a construction lawyer San Bernardino? The Mellor Law Firm is a Riverside-based law firm. They deliver legal expertise that solves your problems and protects your interests. The Mellor Law Firm can handle your issues faster at lower costs. They also take the time to explain options and keep you up-to-date with your case. You will receive the individual attention of a small firm with the legal expertise of a larger firm. Contact The Mellor Law Firm for a consultation today!